Released three years after Point #1 and following tours with bands like Filter, Sevendust, Powerman 5000, and Machine Head ? the band had inked a deal with Epic and issued Wonder What's Next, released in August 2002. The album went platinum by the next summer and their second single, "Send The Pain Below," was a number one hit on modern rock and mainstream radio. 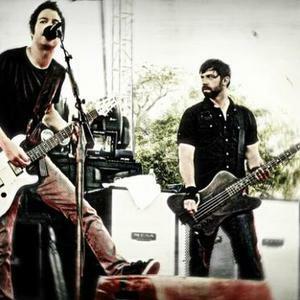 Chevelle's sixth studio album titled Hats Off To The Bull is expected to be released December 6, 2011. The Face To The Floor Songfacts reports that the main concept of Hats Of to the Bull is rooting for the underdog, and its lead single, "track artist=Chevelle]Face To The Floor[/track]" was written about the many thousands conned by a Ponzi scheme. The track was leaked on September 28, 2011 and debuted on radio October 10, 2011.